NHLPA.com has the rosters for the upcoming Olympic Games. USA Hockey has officially announced their men’s Olympic roster for the 2014 Winter Games in Sochi, Russia. The announcement was made immediately following the 2014 Bridgestone Winter Classic game in Ann Arbour, Michigan. All 25 players selected to represent USA are NHL players. This news comes ahead of the International Ice Hockey Federation roster selection deadline of January 7th. Switzerland officially announced their men’s Olympic roster for the 2014 Winter Games in Sochi, Russia on Monday, January 6th. (Click here for the Swiss roster). Slovakia officially announced their men’s Olympic roster for the 2014 Winter Games in Sochi, Russia on Tuesday, January 7th. (Click here for the Slovakian roster). Latvia officially announced their men’s Olympic roster for the 2014 Winter Games in Sochi, Russia on Tuesday, January 7th. (Click here for the Latvian roster). Finland officially announced their men’s Olympic roster for the 2014 Winter Games in Sochi, Russia on Tuesday, January 7th. (Click here for the Finnish roster). Norway officially announced their men’s Olympic roster for the 2014 Winter Games in Sochi, Russia on Tuesday, January 7th. (Click here for the Norwegian roster). Austria officially announced their men’s Olympic roster for the 2014 Winter Games in Sochi, Russia on Tuesday, January 7th. (Click here for the Austrian roster). 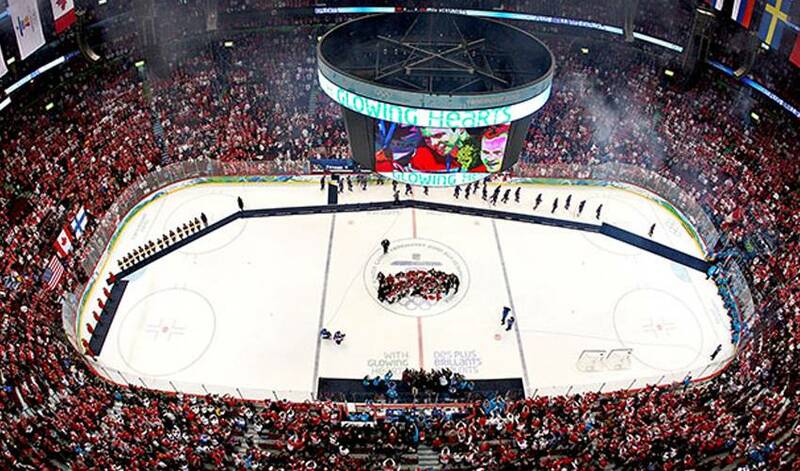 Canada officially announced their men’s Olympic roster for the 2014 Winter Games in Sochi, Russia on Tuesday, January 7th. (Click here for the Canadian roster). Russia officially announced their men’s Olympic roster for the 2014 Winter Games in Sochi, Russia on Tuesday, January 7th. (Click here for the Russian roster). Sweden officially announced their men’s Olympic roster for the 2014 Winter Games in Sochi, Russia on Tuesday, January 7th. (Click here for the Swedish roster). Slovenia has officially announced their roster for the men's ice hockey tournament for the upcoming Olympic Winter Games in Sochi, Russia. (Click here for Slovenia's roster). Andrej Tavzelj D Kovor Rouen "A"